← Root Beer Float Cupcakes! 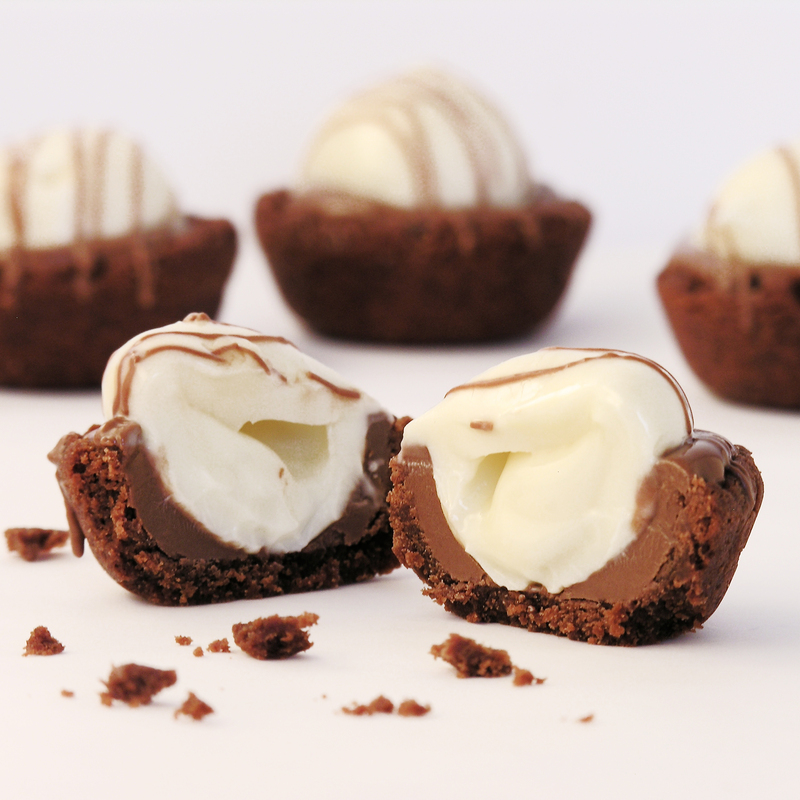 Delicious dark chocolate cookie cups filled with melted milk chocolate and a white chocolate truffle. Yum. I love little mini desserts. I used to work for a hospital and they would have a big, fancy Christmas party every year. My favorite part was all the adorable little desserts at the end. You can try like 8 of them for the calorie price of one big dessert! 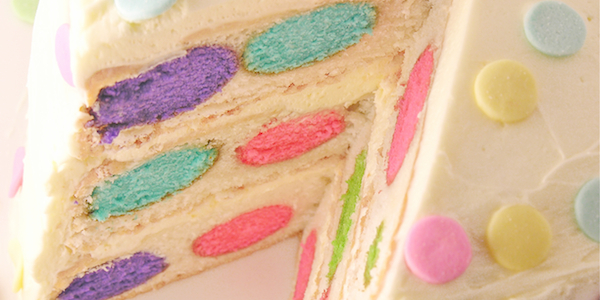 This is an adorable (easy to make!) mini dessert. Perfect for showers, receptions, tea parties and any occasion that calls for a little bit of “fancy” dessert. 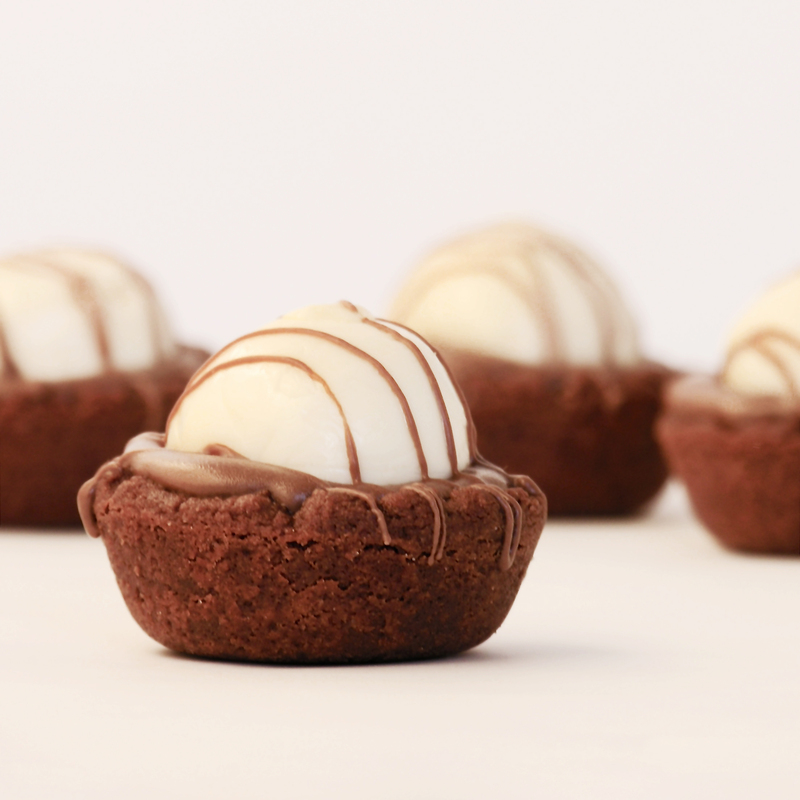 The cookie cups use my favorite chocolate cut-out cookie recipe (pressed into a cup! ), melted chocolate and a Lindt White Chocolate Truffle. Quick, easy, and delicious! Make cookies by combining butter, sugar, egg, vanilla and cocoa powder and beating until completely combined. Add other dry ingredients gradually, mixing with beaters until too heavy to beat. Use clean hands to knead dough into a soft ball. Use a small cookie scoop (I used a scoop that holds 1/2 Tablespoon of batter) to portion out your dough into mini muffin tins that have been sprayed with non-stick spray. Bake at 350F degrees for 7 to 8 minutes and remove from oven. Press centers in a second time with the tart shaper and allow them to cool for just a couple of minutes. Use a small paring knife to pop each cup out and allow them to cool completely on the counter. Melt candy melts in a microwave safe bowl, in the microwave, in 30 second increments, stirring in between until melted and smooth. Pour melted chocolate into a sturdy zip-top bag. Zip it closed and clip a corner off. 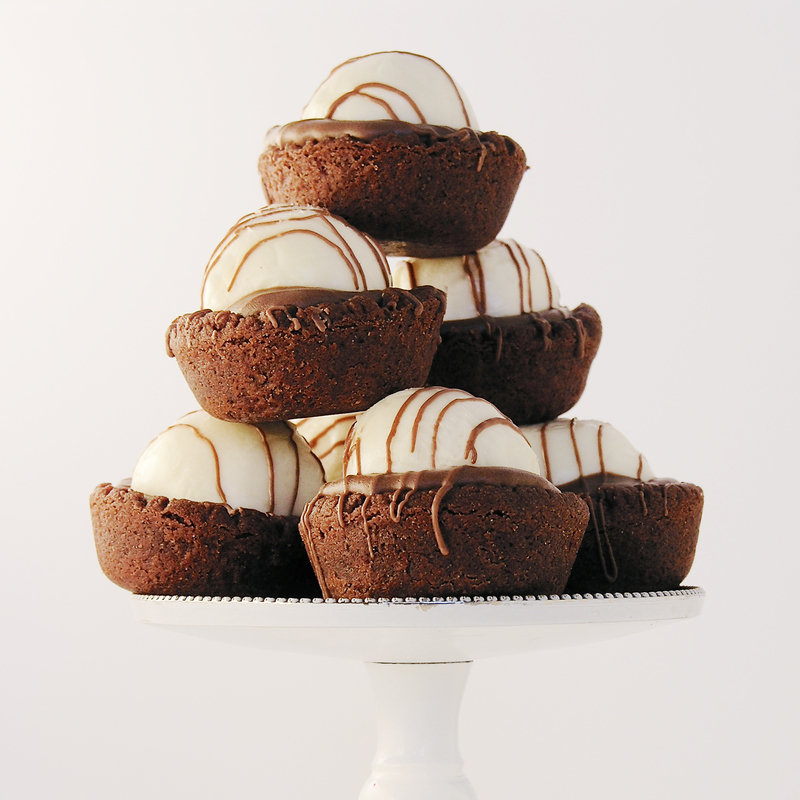 Unwrap all of your Lindt truffles. 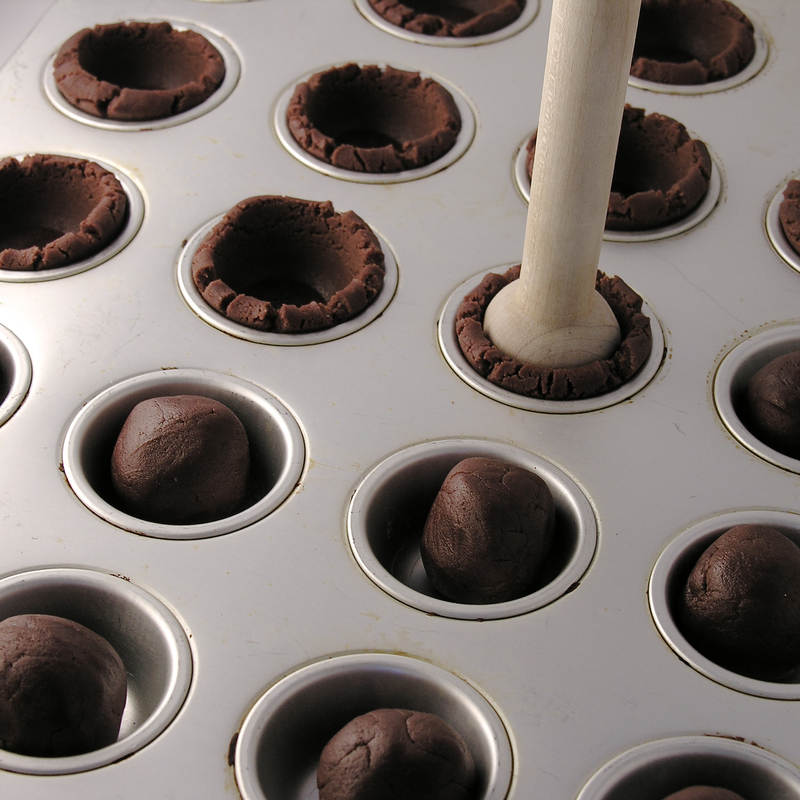 Carefully pipe warm chocolate into each cookie cup, filling each one about half way. 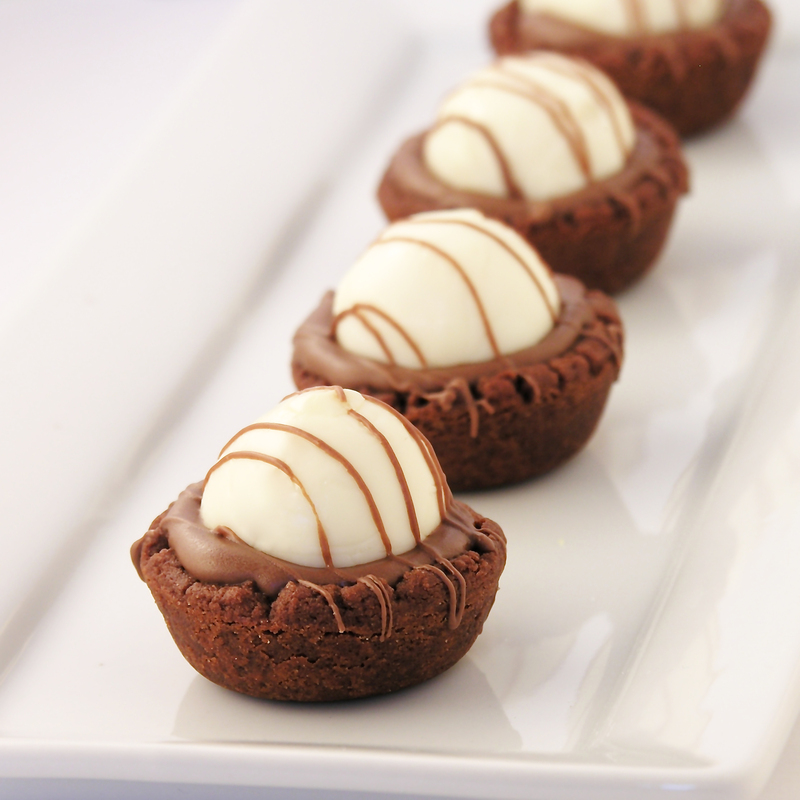 Drizzle any left-over chocolate over the tops of the mini-desserts and allow them to cool and harden completely. Posted in Candy, Cookie Cups, Cookies and tagged chocolate, cookie cups, cookies, creative dessert, dark chocolate, dessert, fancy dessert, food, Lindt truffles, milk chocolate, mini dessert, recipe, truffles, white chocolate. Bookmark the permalink. This looks amazing! I love deserts that are a surprise when you bite into them. Great recipe! So do I!! Thank you!! oh wow this is a great idea. i love those truffles! What size/type of pan did you use? Just a standard mini- muffin tin. I have one that makes 24 mini cups at once- which is nice.